Emily W. Neal passed away on April 6, 2019 in Christiana Hospital. She was the former wife of Paul L. Neal, Sr., who passed in 2015. 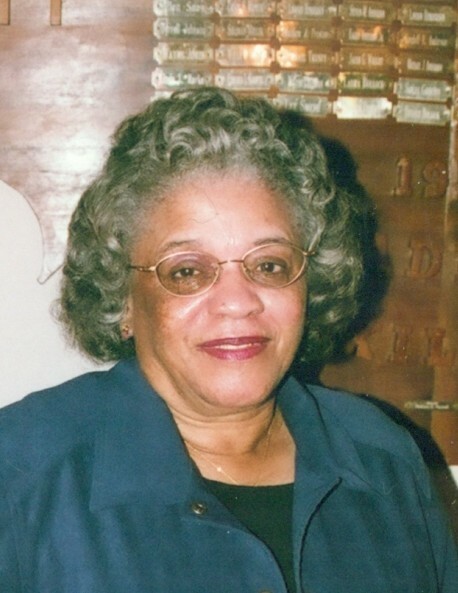 She was the mother of Paul L. Neal, Jr., Della A. Wilson (Harry), Michele Y. Jackson, Zachary T. Neal and Titus M. Neal; grandmother of Harry L. Wilson, Jr., Andrea R. Wilson, Karin Neal, and Zachary Patterson; great grandmother of Brianna Johnson and Corrine Johnson; She leaves behind one sister, Lorraine Saunders, a host of nieces, nephews, cousins, other relatives and friends, including her long time companion, Harry Whittington. She was preceded in death by her parents, Harry B. and Ida M. Saunders; her siblings, Laticia Saunders, Virginia Bell, Margret Allen, Marianne Richards, Catherine Hamilton, Dorothy Saunders, Helen Saunders, Oleta Saunders, Nelson Saunders, Conrad Saunders, Paul Saunders, Wilbert Saunders, Joseph Saunders, Robert Saunders, and Charles Saunders. Mrs. Emily W. Neal worked at a mushroom plant in Kennett Square, PA, and then went to work at Delaware Park where she worked in the cafeteria for many years. She remained a housewife until the children were grown. She attended different churches, Old Fort, Mount Pisgah Summit Bridge, Hutchinson Memorial UAME Church. She loved dancing, cooking spending time with her children and her family members, at functions such as holidays and family reunions and cookouts. Emily was a people person who loved everyone. Her last words were, "I love everybody." Her favorite saying was, "Can I tell you something?" Then she would give the facts. She was an avid ballroom dancer. On New Year's Eve Emily and her brother, Robert Saunders, would take the floor. People would stand around them watching with amazement. Through her sickness she still was encouraging and still had determination. Her funeral will be 11 am Friday, April 12, 2019 at Congo Funeral Home, 2317 N. Market St., with a viewing from 9-10:45 am. Burial in Silverbrook Cemetery immediately following services.